In mainstream fiction today, “normal” characters tend to be carnivores, or at least omnivores, and “fringe” characters tend to be vegetarian or vegan. Naturally, I disagree with this distinction. But I also understand that most writers are simply following convention, simply writing about the world as they see it today. But the world is changing. And fiction has a critical role in not only reflecting these changes but also in imagining the world as it can be. Which is one reason I wrote The Tourist Trail and co-founded Ashland Creek Press — to help publish these works when we find them. Writing a story that advances animal rights isn’t easy, particularly if you want to change hearts and minds. And not every novel needs to have a theme that directly addresses animal suffering. It could simply feature vegan characters who are portrayed as normal human beings (as opposed to hemp-clad anarchists). J.M. Coetzee’s Elizabeth Costello is one such character. If you’re a writer with goals of changing the world, here are a few things I’ve learned over the years. If you’re writing for an already converted audience, then what you write will be vastly different than writing for minds you hope to change. At Ashland Creek Press, we aim to publish for a mainstream audience—this is where we see possibilities for positive change on a large scale. But it also means selecting works that both vegans and non-vegans will find realistic and compelling, and these can be the most challenging works of all. To create a work that accomplishes this goal, writers should include characters along a wide spectrum so that readers will have someone to identify with. Having characters with diverse lives and opinions offers something for every reader and also leads to great conflict, which brings me to the next tip. A good story avoids simply telling readers about the issues. Instead, let your characters work through the issues through conflict. Put a vegan into a relationship with a non-vegan, a Republican with a Democrat, a Prius driver with an SUV driver. And always keep in mind that some of the most interesting and enlightening animal rights discussions take place over dining room tables among family members. Elizabeth Costello, for example, is in conflict with her daughter-in-law who doesn’t want Elizabeth “infecting” the children with her ideas about animals. Your characters don’t have to be on the front lines of a protest to be “activists.” Sometimes it takes just as much bravery to confront a loved one over the dining room table. Get readers involved with the story first, so that they’re engrossed in the characters long before they realize there’s a certain issue at stake. Create mystery, conspiracy, and don’t be obvious with where you’re headed. For example, a novel about ag-gag laws can begin as a corporate conspiracy novel—a mainstream issue that could pull in a wide audience. Focus first on capturing the reader’s attention with complex characters and plots, then work in the animal rights themes in a way that fits the story. She carried a scabbedover wound on her hip where her mate had bitten her two weeks before somewhere in the mountains of Sonora. 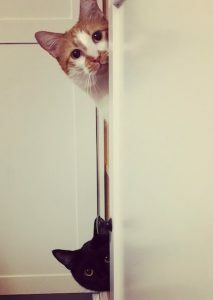 He’d bitten her because she would not leave him. Standing with one forefoot in the jaws of a steeltrap and snarling at her to drive her off where she lay just beyond the reach of the chain. She’d flattened her ears and whined and she would not leave. In the morning they came on horses. She watched from a slope a hundred yards away as he stood up to meet them. Some vegans’ criticism of carnivores is that meat eaters have little or no empathy for animal suffering. But on the other hand, some vegans have little or no sympathy for the struggles that carnivores face as they consider giving up meat—or they may have forgotten their own struggle to become vegan. Diet is cultural, personal, and often carries with it family expectations and emotional baggage. To change one’s diet can, for some people, lead to strained or broken relationships. While going vegan may be an easy decision for one person, it could be an enormously difficult decision for another. Keep this in mind as you write, and have sympathy for all your characters. Everyone has a different view on what needs to be done to save the planet, to save the animals. And everybody works in different ways to make a difference. Just because someone doesn’t do all the things you do doesn’t mean they’re not making an impact in their own ways. To expect perfection from characters is no different than expecting perfection from your friends and family or yourself. It’s just not going to happen. In fact, I would argue that imperfection is far more important in creating authentic characters. The flaws are just as important as the features. “Show, don’t tell” is one of the most commonly dispensed bits of writerly advice, and it is particularly relevant with eco-fiction. When trying to open the reader’s eyes to animal atrocities, one may feel the urge to dispense statistics and other important facts. But readers generally recoil if they feel they are being lectured to. It is far better to take the reader on a journey so he or she can see the atrocities firsthand. Don’t tell a reader how many factory farmed animals suffer; take them into a slaughterhouse. Also consider the value of including a character who begins the novel as a carnivore but becomes a vegan during the course of the book. What type of a journey will this character follow in order to make such a transformation? If you can create a character who can believably undergo such a transformation, enduring all the public and personal struggles along the way, you’ll be well on your way to developing a must-read novel. These are just a handful of suggestions, and I’d love to hear from other writers. 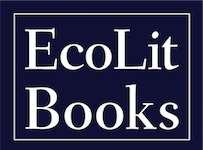 Send me your questions and comments, and let me know what eco-lit books have made an impact on you.